National data show the high prevalence of multiple chronic conditions (MCCs) among the aging population. Almost half of community-dwelling people aged 45-64 and 80% of those aged 65+ live with MCCs (Gerteis et al., 2014), and more than 2/3 of Medicare beneficiaries have MCCs (Centers for Medicare and Medicaid Services, 2012). The two national reports from the Agency for Healthcare Research & Quality and Centers for Medicare and Medicaid Services identified the prevalent statistics and complexities of MCCs (Centers for Medicare and Medicaid Services, 2012; Gerteis et al., 2014). 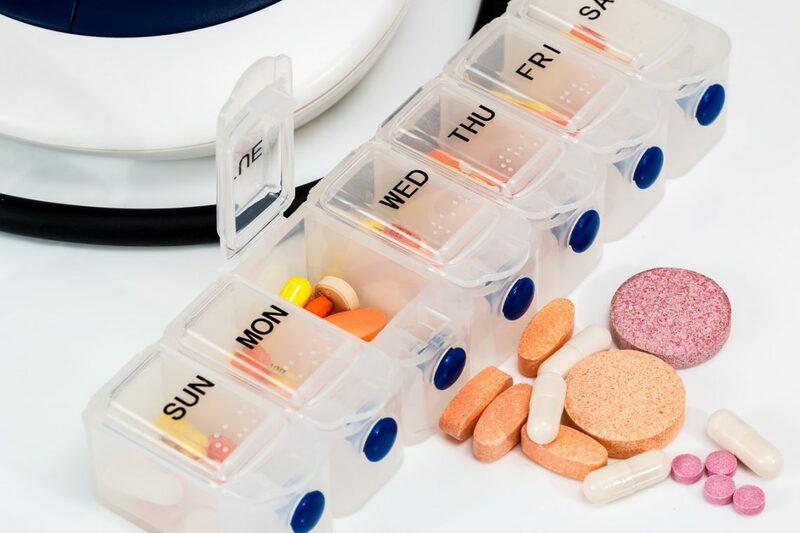 The involved complexities were: lack of evidence and guideline for care, polypharmacy, health disparities, care burden and barriers, functional limitations, high healthcare utilization, and costs, while lacking an ideal quality of life. Multiple academic and healthcare organizations have been encouraging further research on optimizing care for aging people with MCCs. For example, several of the National Institute of Nursing Research centers were funded to explore and study MCCs. Within the self-management science of chronic conditions, self-regulation was one of the key elements in addition to activation, self-efficacy, and global health status (Moore et al., 2016). It linked activation with a self-regulatory coping process to build up self-efficacy that promises successful self-management. In the self-management of MCCs, considering the complexities, self-regulation is especially important to explore. The theory of the self-regulation strategies of Selection, Optimization, and Compensation (SR-SOC strategies) is a life-long successful aging theory that strategizes how to balance loss and gain to analyze and maximize the goal, using achievement-based benchmarks based on available resources and limitations (Freund & Baltes, 2002). However, less evidence existed on the use of the strategies for pathological aging than general aging or healthy aging areas. Thus, this phenomenon was explored in a literature review to see up-to-date evidence on the use and effect of strategies in managing single and multiple chronic conditions (Zhang & Radhakrishnan, 2018). The 19 reviewed quantitative, qualitative, or mix-method studies supported the effects of SR-SOC strategies on various single chronic conditions and pointed out the potential effects of self-managing MCCs. Demographics, number of chronic conditions, internal and environmental resources, and degree of disabilities influenced SR-SOC strategy use. The SR-SOC strategy can help people with chronic conditions adapt to their chronic disabling symptoms and daily activities and, thus, achieve better life satisfaction, reach their rehabilitation goals, and decrease negative health events. However, no evidence existed on the influence of health resources, including health insurance, health literacy, and communication quality with healthcare providers and different healthcare utilization as a part of SR-SOC strategy outcomes. Future studies will further explore these in MCC self-management, with better MCC measurements and evaluations of the chronic disabling symptoms. In my dissertation, for example, we used the theoretical framework below to understand the use and effect of SR-SOC in optimizing the self-management of arthritis and MCCs. The American Geriatrics Society published the stepwise and decision-making framework as a reference for healthcare providers to better care for people with MCCs (American Geriatrics Society Expert Panel on the Care of Older Adults with Multimorbidity, 2012; Boyd et al., 2019). One guiding principle, “use strategies for choosing therapies that optimize benefit, minimize harm, and enhance quality-of-life,” was consistent with our research goals. These findings are described in the article entitled Evidence on selection, optimization, and compensation strategies to optimize aging with multiple chronic conditions: A literature review, by Wenhui Zhang and Kavita Radhakrishnan, recently published in the journal Geriatric Nursing. Freund, A. M., & Baltes, P. B. (2002). Life-management strategies of selection, optimization, and compensation: measurement by self-report and construct validity. Journal of Personality and Social Psychology, 82(4), 642–662. Gerteis, J., Izrael, D., Deitz, D., LeRoy, L., Ricciardi, R., Miller, T., & Basu, J. (2014). Multiple Chronic Conditions Chartbook. AHRQ Publications No,Q14-0038. Rockville, MD. Zhang, W., & Radhakrishnan, K. (2018). The Evidence on Selection, Optimization and Compensation Strategies to Optimize Aging with Multiple Chronic Conditions: A Literature Review. Geratric Nursing. Wenhui Vivian Zhang currently works at the School of Nursing, University of Texas at Austin. Wenhui does research in Geriatric Nursing and Biostatistics.